I have been doing a lot of soul-searching the last 6-7 months. 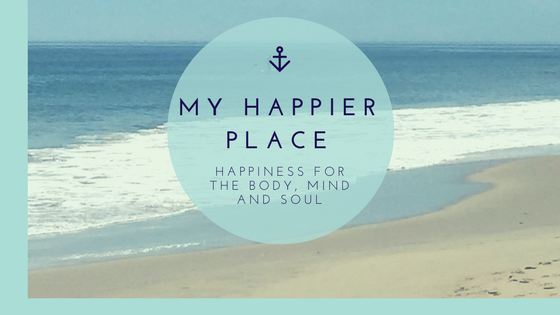 My yoga and meditation practices have been a game changer. I have also been writing a lot of blog posts on Upwork, particularly posts on alternative and complementary therapies. Currently, I am writing some posts for a blog that discusses Asian medicines and Asian meditation. I just finished one about Buddhist philosophy and I found it fascinating. 1. Buddhism in not a religion. Many people may call Buddhism a religion, but Buddhists do not consider it to be a religion. They feel that it is a philosophy and way of life. They do not worship the Buddha. 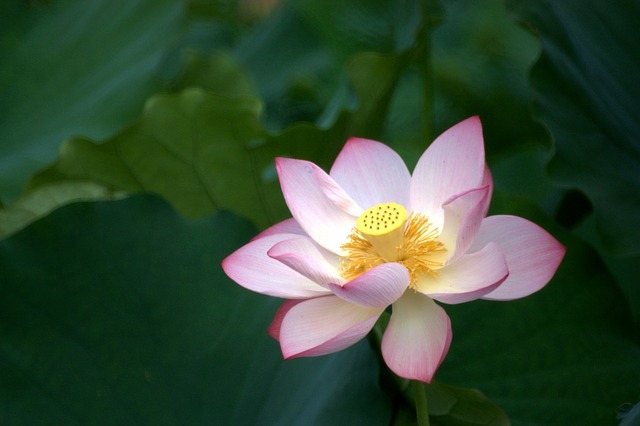 Expressions of gratitude are given to the Buddha for bringing his philosophy and Noble Truths into the world. His statue ‘reminds people to “strive to develop peace and love within” themselves’ (www.buddhanet.net). 2. many people follow an organized religion and buddhism. Since Buddhism is a very tolerant, accepting belief system. It teaches people a “way of life that leads to true happiness” (www.buddhanet.net). People can be Christian, Jewish, Hindu, Muslim…any religion and still follow the tenets of Buddhism. It recognizes the moral teachings of different religions and adds upon them with the 4 Noble Truths, the Noble 8-Fold Path and the 5 Precepts. 3. many people live by the all or some of the 5 precepts and don’t even know it. The 5 precepts are: 1 – not to take the life of anything living, 2 – not to take anything that is not freely given, 3 – abstain from sexual misconduct, 4 – refrain from untrue speech and 5 – avoid intoxication because it means losing mindfulness (www.buddhanet.net). Living by all of these may seem extreme to some, but many people live by some of them. 4. the buddha, siddhartha gautama, was born into a royal family. Siddhartha lived in the lap of luxury, but came to realize that money and luxury doesn’t buy happiness. He left his royal family to journey through studies of various religious teachers and meditation. 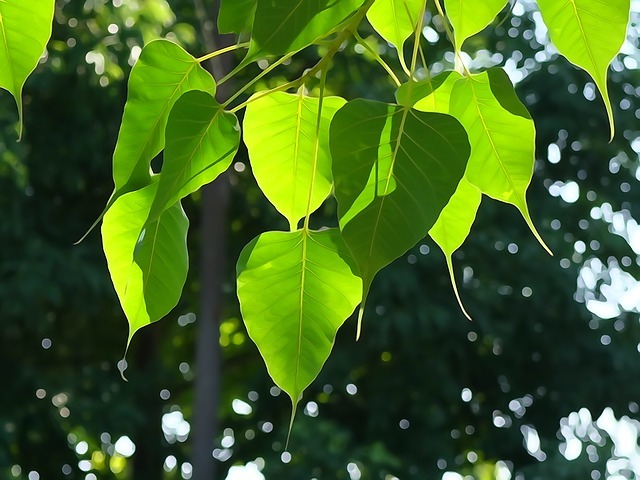 Enlightenment occurred after a night of sitting and meditating under the Bodhi tree. 5. the laughing buddha is not the founder of buddhism. 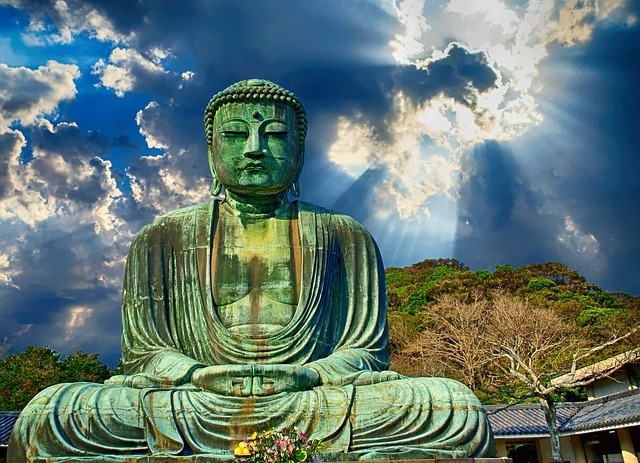 Siddhartha Gautama is what some people may call the “skinny buddha” and he was the founder of Buddhism. 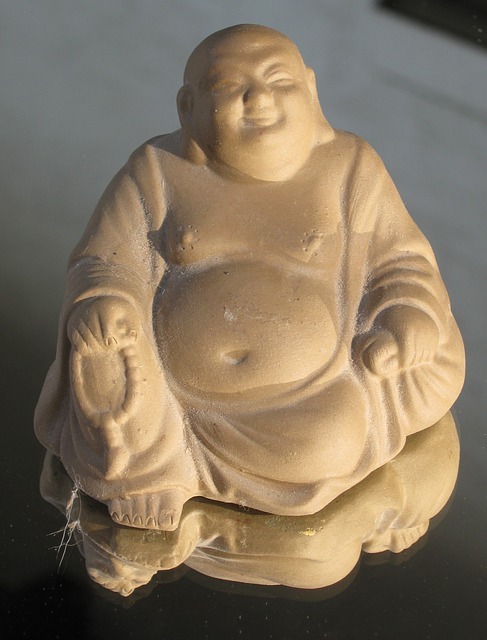 The “laughing or fat buddha” was a Chinese monk name Pu-Tai who lived over 1000 years ago. He is known for his kindness and giving nature and was given the title, “Buddhist saint” (www.oddlyhistorical.com). I loved learning about Buddhist philosophy because it really resonated with me. Personally, I am not a big fan of organized religion, but I understand why many people find comfort and faith in those religions. I love that Buddhism is accepting and tolerant, which I feel is so important in the world today. I actually learned about Buddhism in my history class in high school and again in a world religions class in college, and I really enjoyed it. I definitely feel drawn to it in my life! I really like the Buddhistmessage. It is basically saying be a good and kind person. Thank you for this enlightening post. I had no idea about any of your 5 points. Very informative! I had always though Buddhism was a religion! Lane & Holly @ With Two Spoons recently posted…Good Food Reads: Snack Time! I did too…I really loved learning about it. I admit I didn’t know some of these facts about Buddhist philosophy. I did think Buddhism was a religion. The tenets they live by seem sensible too. Tell you the truth I don’t know a darn thing about Buddhist anything. So it was great you have expanded my knowledge and I did find it very interesting. Oh wow I didn’t know that either. I feel like I follow that philosophy too. I did yoga yesterday and I love it so. I think it’s a great, loving, tolerant philosophy. This was actually really interesting. I didn’t realise you could follow another religion and also Buddhism. I really enjoyed reading this post. I like many of the Buddhist beliefs. 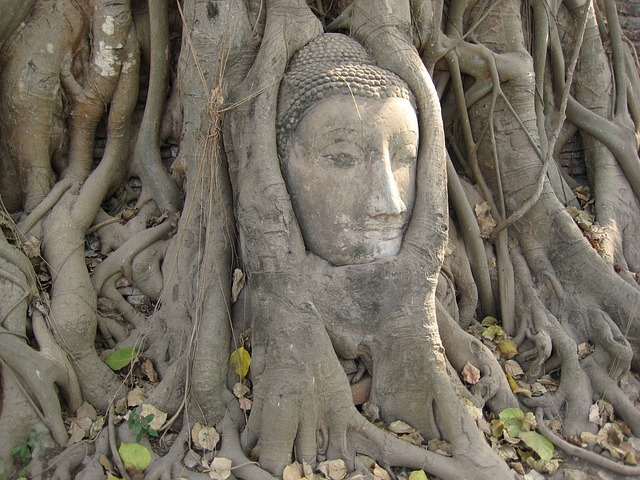 I have also been lucky enough to see the iconic head in the Banyan tree roots in Thailand. I am a Christian and you are right many call it a religion. From what I have read it is worshipping faith and not God. Thanks for teaching me some points I didn’t know about Buddhism. It’s always interesting to learn more about other peoples beliefs. I like to learn about other spiritual cultures as well. I love this post! So many people don’t know what Buddhism truly is and they just discount it as some “religion”, but that’s not true at all! I am a Christian, but respect Buddhism because I have one of my degrees in Chinese and I’ve learned so much about it and what it truly consists of! Great post! That’s awesome!!! Thanks for the validation:) I found it so interesting and love that it is so tolerant. Buddhism is about being kind, good people. I know very little about Buddhism so this was very informative. I like that Buddhism teaches a way of life that leads to true happiness. I’ve been to a few organized churches when I was growing up and I always found it hard to feel like I belonged. I love learning about Buddhist , I know a friend of mine that is all she does . She study about he Buddhist . Thank you for sharing these awesome information. I am Christian, but many of my thoughts and actions align with the above. I think it is all about treating each other right. I just bought a book about Buddhism! I just love learning about other ways of living/philosophies! What book? I’m looking for a good book to read about it. That’s awesome. Very informative and detailed information about Buddhist philosophy. I think Buddhism is a beautiful philosphy (though I love my intoxicants) I love that you can not follow organized religion, or do, but still practice Buddhism. I didn’t realize the original Buddha was a royal! Laura recently posted…How to Rosé All Day! I wasn’t familiar at all with the buddhist philosophy before reading your post. It’s so neat to learn about other practices in life. I think it is always interesting to learn more about things I have little knowledge of. Thanks for sharing. I learned a lot. Wow! This is so interesting! I loveee the ideas of peace that Buddha stands for! 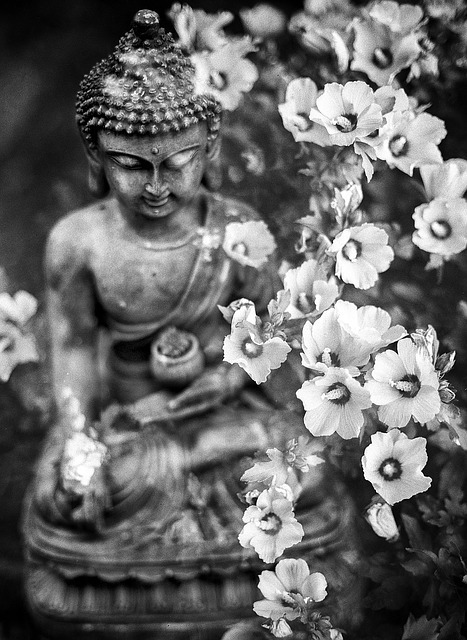 What do you think speaks to you the most about Buddhism (if you had to pick one). Probably that it a positive way of life which is tolerant of all beliefs. I love the Buddhist philosophy. So many great principles I think more people should follow! So interesting that you can practice Buddhism as well as another religion without the two conflicting, although it makes sense! Also interesting to hear what’s up with the “fat Buddha” statues – I always found those oddly out-of-place with what I knew about Buddhism! I was curious about the different Buddhas so I found that fact so fascinating. I never knew this things about Buddhism. Really great knowledge to have. Thanks for sharing. This post was so informative! I had no idea that there was another Buddha other than the fat Buddha. I actually didn’t even know that the “skinny one” was supposed to be Buddha! Wow! It was news to me too. I learned so much about Buddhism that I didn’t know. Very informative! I am not a big fan of religion either but always love Buddhist philosophy.